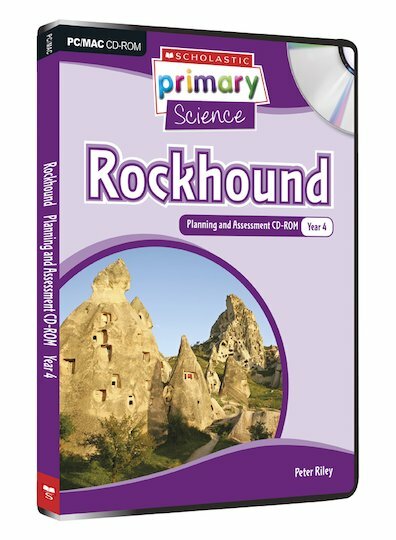 Rockhound is a Year 4 module focusing on: where rocks are found and the role of a geologist; how rocks are formed and rock-collectors, minerals and crystals; human use of rocks and minerals; and the effect of mining upon the environment and how rock-based products can be recycled. The Planning and Assessment CD-ROM contains interactive assessments for pupils on particular scientific concepts. This CD-ROM also contains a full electronic teacher’s resource book with extensive guidance and support. Peter Riley is a former teacher with many years’ experience. He is now a full-time writer and won the TES/ EYA School Book of the Year 2000 for ‘Physics Now’ (Murray)and was shortlisted for the Aventis Science Prize 2004 for ‘Survival Science in the Rainforest’ videos.